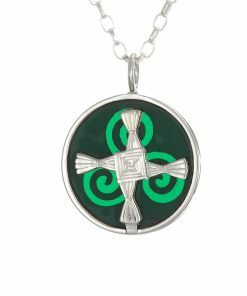 A sterling silver pendant celebrating the Saint and Goddess Bridget (Brigid). Born on her feast day, I thought it was important to create a pendant that brought me back to my early days in school when I made the cross from reeds. I incorporated the cross into a case with a triple spiral at the back that allows the light to shine through the piece to reveal the spirals from the front. 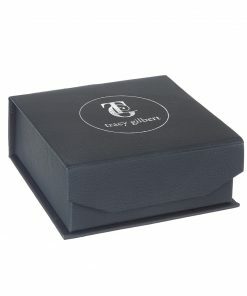 The pendants come in two sizes 20mm and 30mm and with a choice of 16, 18 or 26 inch sterling silver chain. 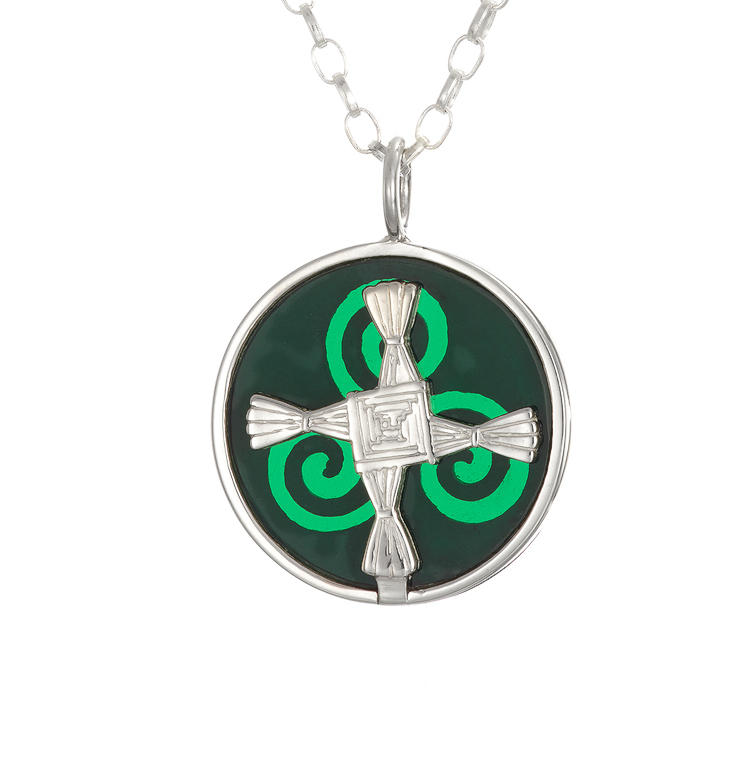 This St. Bridget’s Cross pendant is made from Sterling Silver (925). St. Bridget’s is one of the patron saints of Ireland and her feast day is the 1st of February (which happens to be my birthday). In Ireland, school children spend the day making crosses out of reeds/rushes to take home to protect the house (or cattle barns in the old days). I always wanted to make a pendant that would celebrate St. Bridget and her amazing achievements and would take me back to the days when I happily weaved reeds into the traditional cross. As with a lot of my pieces, light can shine through the pendant to reveal a triple spiral (triskele) that is pierced out at the back. 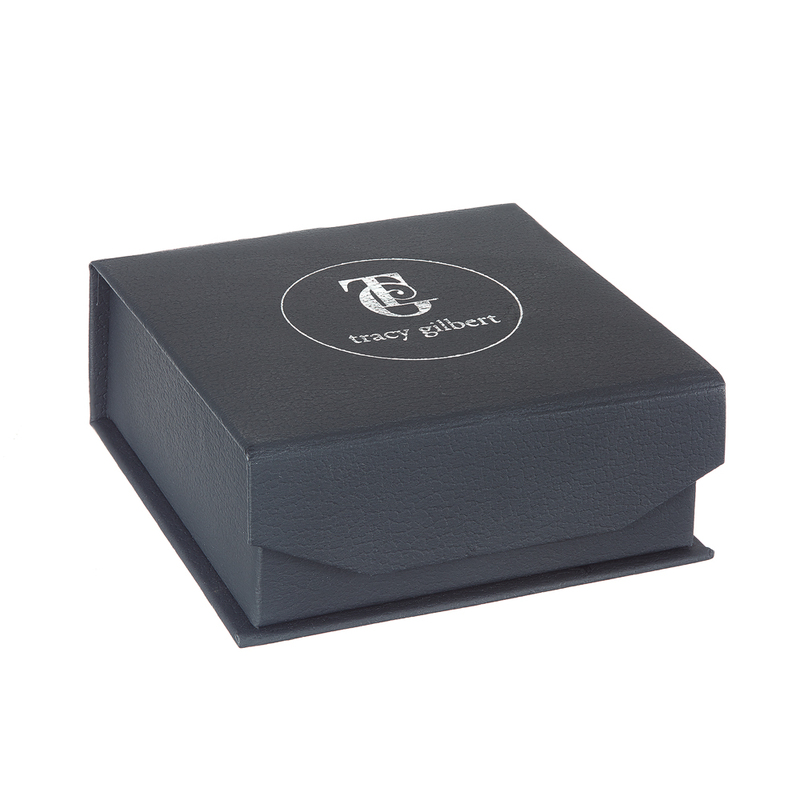 The pendant comes in two sizes: 20mm or 30mm in diameter and comes with a choice of a 16 inch, 18 inch or 26 inch sterling silver chain.